Columbia Mayor Steve Benjamin joined Keven Cohen on The Afternoon Drive on March 25th to talk about happenings in the city—including the recent March Madness NCAA tournament at the CLA as well as updates on a couple of Columbia hot-spots. Feel free to share this with others. Keven Cohen had the chance to talk with former US Senator Jim DeMint on March 14th. They talked about today’s issues in South Carolina with education and a bunch of what’s going on in DC. Feel free to share this elsewhere. 5th District US Representative Ralph Norman joined Keven Cohen on The Afternoon Drive Wednesday March 6, 2019 to talk about everything from the Democrats litigating vs. legislating, socialism, the economy and much more. Feel free to share with others. Keven Cohen had the chance to talk with South Carolina’s Senate Majority Leader Shane Massey. The two talked all about the merger for SCANA/Dominion as well as a big budget surplus and what to do with those dollars. Give it a listen and feel free to share it with others. Keven Cohen had the chance to talk with US Senator Tim Scott (R-SC) on November 1st. The two talked about everything from the economy to midterm elections, immigration and the shootings in Pittsburgh. Give it a listen and feel free to share it with others via social media. 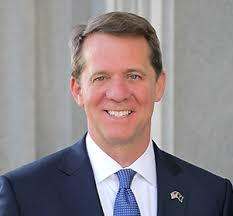 Richland County Representative and South Carolina’s Democratic candidate for Governor James Smith visited with Keven Cohen on 100.7 FM The POINT Thursday October 18th to talk about his debate performance from the night before and the various issues and challenges facing The Palmetto State. Give a listen and feel free to share this. 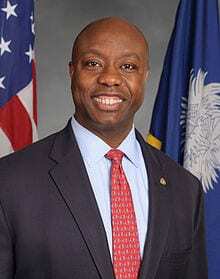 US Senator Tim Scott joined Keven Cohen on The Afternoon Drive on Wednesday, October 17th to talk about the economy, midterm elections and a few other topics. Give this a listen and feel free to share it with The POINT’s blessing.